MTV's HIV-awareness series Shuga has landed itself a triple season renewal. One of the new seasons will be filmed in South Africa again - under Season 5's "Down South" title - and the other two seasons will film in Cote d’Ivoire for the first time. The second season of Down South will be filmed in South Africa between September and November this year and the search is on for cast to be part of it. Auditions are happening online and at two venues. - Be available, on reasonable notice, for filming at a location as the production directs between September 2018 to November 2018. You can prepare a performance based on one of the scripts provided by the production. There are two female and two male scripts. You can also audition by submitting a video of your audition performance. Once you’re happy with your audition, upload your video to Facebook, Instagram or Twitter. Don't submit your audition via Inbox or DM, make sure it is visible on your Timeline. This part is extremely important: make sure you tag @MTVShuga and use the hashtag #MTVShugaAudition in the caption of your video. Without these two elements, your audition video will not be counted. Has your video uploaded? Is your caption correct? Watch your video one more time and read through your text to make sure you haven’t missed out on anything. Closing date for submissions: 1 September 2018 at 23h59 CAT. Anything uploaded from 2 September will no longer count. Only ONE online video per auditionee will be counted. If you audition online, you can also audition at one of the venues. Flash fact: Lupita Nyong'o landed her big break on the first season of Shuga, which was based in Nairobi, Kenya. 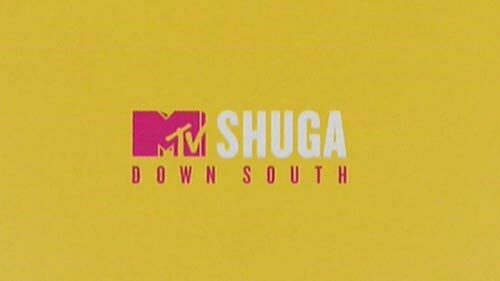 Those who make it through the online and live public auditions will be contacted by the MTV Shuga production team who will advise of the next steps. The season will air on MTV Base, BET and other international networks in 2019. Splendid! I really enjoyed Down South. I have not yet watched this past season that saw it return to Naija. I will be watching the new seasons though. After Down South, my 2nd fave season was season 3 of the series which happened in Naija.